Math senior Mackenzie Simper is the first U student to receive the Churchill Scholarship. Mackenzie Simper, Salt Lake City native and senior in mathematics at the University of Utah, has received the prestigious Churchill Scholarship to study at the University of Cambridge in the United Kingdom. Simper becomes one of only 15 students nationally to receive this award and is the first Churchill Scholar for the University of Utah. “Mackenzie’s receipt of the Churchill Scholarship marks a tremendous milestone for the university. As our first Churchill Scholar, we have no doubt that she will be an excellent representative of our university and state. Mackenzie has forged the path for other U Churchill Scholars to follow,” said the U’s Senior Vice President for Academic Affairs Ruth Watkins. Simper initially planned to attend medical school, which prompted her decision to double major in math and biology at Salt Lake Community College. She soon realized, though, that math was a spectacular field with many applications and areas to explore. When she transferred to the University of Utah in fall 2014, she knew that math was the subject she wanted to pursue. “Math is so much fun. My research has allowed me to work on problems that truly interest me, and has shown me the connections between different areas of math. 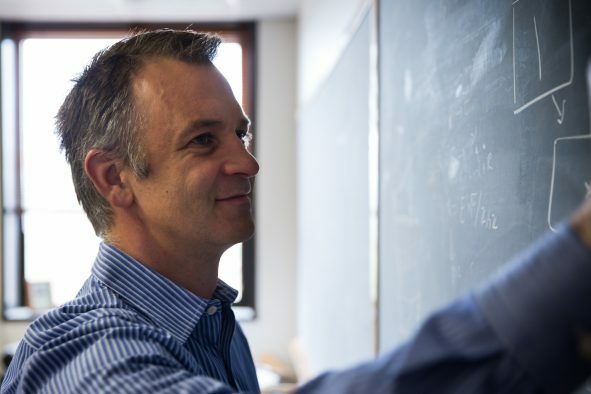 Any student who is excited by math should try doing research, because it is a chance to experience math in a completely different way than in the classroom,” said Simper. 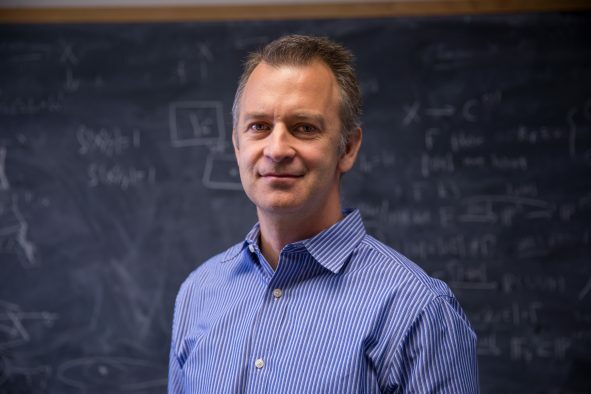 Under the direction of Tom Alberts, assistant professor in mathematics at the University of Utah, Simper has worked on two research projects over the past year and half. One focused on the stochastic heat equation on Markov Chains. The second studied the Bak-Sneppen model, a simplified model of evolution that incorporates natural selection and spatial interaction between species. She is currently writing up the results of this second project for publication. “I’m proud to have called her my student and research collaborator, just as the mathematics department as a whole is proud of her as one of our best students ever,” said Alberts. Simper continued her research experience this past summer on a National Science Foundation Research Experiences for Undergraduates fellowship, where she did research with Bjorn Sandstede, a professor in applied mathematics at Brown University. Her project focused on dynamical systems with noise, studying them both analytically and numerically. This research was the basis for another publication in progress and was the focus of a presentation she gave to the University of Utah Department of Mathematics. 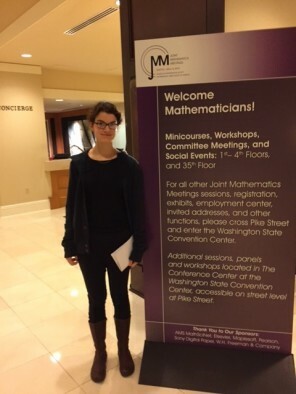 Recently, Simper was awarded the Alice T. Schafer Prize for Undergraduate Women in Mathematics, which highlights one outstanding undergraduate woman nationally who demonstrates high quality of performance in advanced mathematics course, a real interest in mathematics and an ability for independent work. Simper will use the Churchill Scholarship to pursue a Master of Advanced Study in Pure Mathematics at Cambridge starting in the fall. 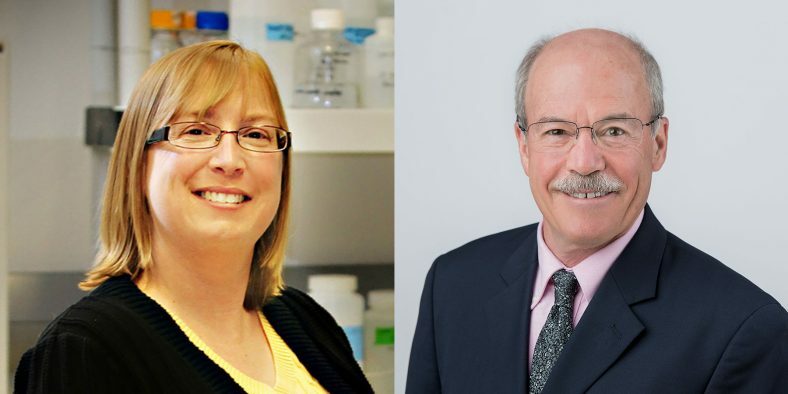 Don Tucker, professor in math at the University of Utah and mentor to Simper, said, “She will be a credit to our nation both as a scholar and as a person.” Upon completion, Simper plans to come back to the U.S. to complete her doctorate in mathematics.